Last gig of 2018! The Christmas holidays are over and the New Year’s Eve is just around the corner. The days in between these two holidays tend to be rather dull and there is not a hell of a lot do. So I had a look to see what metal shows were on. Mortiis was in town but since this was part of their Era 1 tour (the dark ambient albums) I decided to give it a miss. I am not that much into dark ambient and it is not something that I would like to hear live. Then I spotted an advert for a thrash metal night at Olympia. I’ve seen Lost Society live at South Park Festival back in the summer but I did not know anything about the other band Igniter other than that they also play thrash metal. Overall it was a fun night out. Igniter far exceeded my expectations and their show was the better one of the night. Lost Society have their fans but after watching another mediocre performance by them I do not count myself among them. 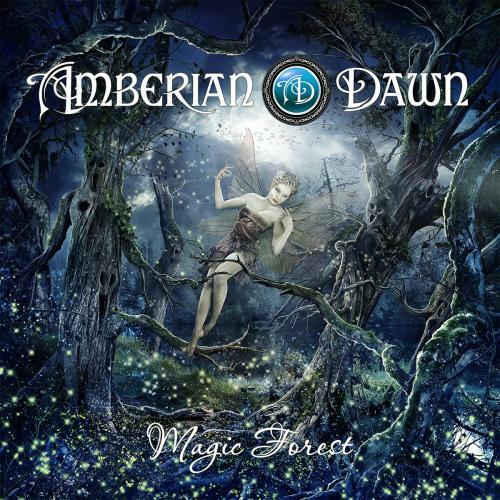 Finnish symphonic metal enchanters Amberian Dawn have recently revealed the stunning artwork for their new album, Magic Forest. The revealing of the artwork comes shortly after the band announced their new record deal with Napalm Records. The new album, Magic Forest, is scheduled for release on 7th July via Napalm Records. We’re thrilled to be back in action after 5 years which seems like a life time! We wouldn’t be THIS thrilled if the new album hadn’t turned out be exactly how we wanted it to be. It’s just as bold, big, polished, hooky and sticky as we pictured it. A lot of hard work was spent making it happen and now it’s time for the best part of making music; taking it out and playing it live. We can’t wait to meet our old friends again and hopefully make some new ones along the way. Hope you enjoy Diamond In The Firepit. Thanks for still being there and sorry for the delay, let’s have some serious fun! I’m very glad about this new deal with Napalm Records. I’m sure that our cooperation will be successful and enjoyable. This label showed interest in us at the very beginning of our career so I feel very comfortable working with this great label today! Together with our booking agency/management Twisted Talent Concerts we’re surely going to make something happen here. New album Magic Forest is AD‘s first studio album with singer Capri. Now with her I’ve been able to fulfil some of my early dreams with musical styles and this new style is really big, fresh and naturally flowing. New sound is more keyboard driven and the vocal lines have some strong influence of 1980’s. But since this is AD, there’s of course also some fast songs included and some really serious guitar and keyboard shredding too. Mr. Jens Johansson of Stratovarius once again contributed some really awesome playing in form of one keyboard solo. Thank you Jens, you’ve been supporting us so many years now. This is also first time on AD‘s history when we had an actual production team put together. Thank you Mikko P. Mustonen and Capri for your awesome support and work. We really have an extraordinary good production team here. We had so much fun in doing this album and you can really sense and hear the relaxed atmosphere we had on the process. 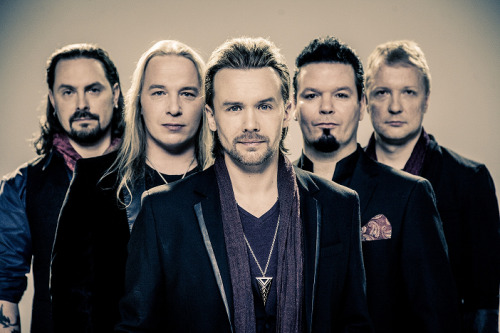 Finland’s rising alternative progressive metallers Constantine are heading for their first ever UK tour in August and September 2014. The tour covers 10 shows in England and Wales, which are also their first shows outside Finland. 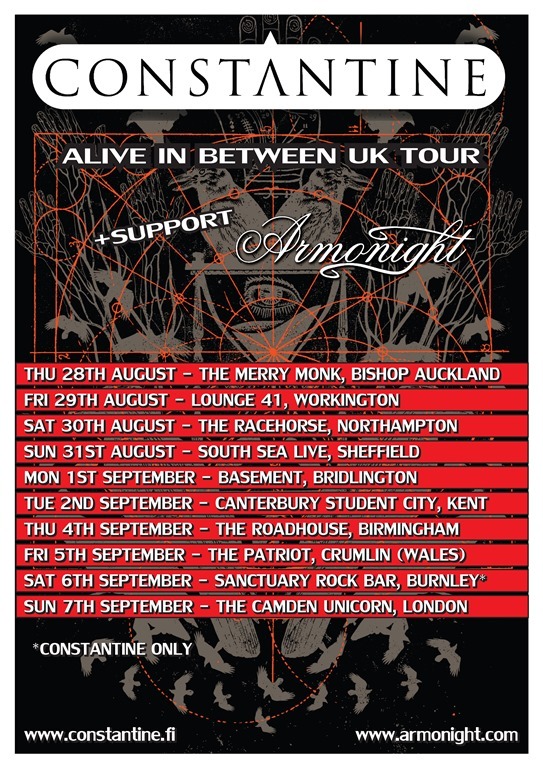 Supporting band on the tour will be Italian female-fronted rockers Armonight. 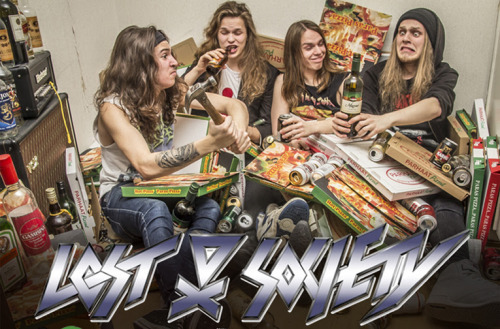 The self-imposed band has done preparations for the tour since last autumn, while touring domestic venues after the release of their second album, Resign Due. Constantine’s former record label went bankrupt only few weeks before the release, but the band did not cave in and eventually self-released the album. 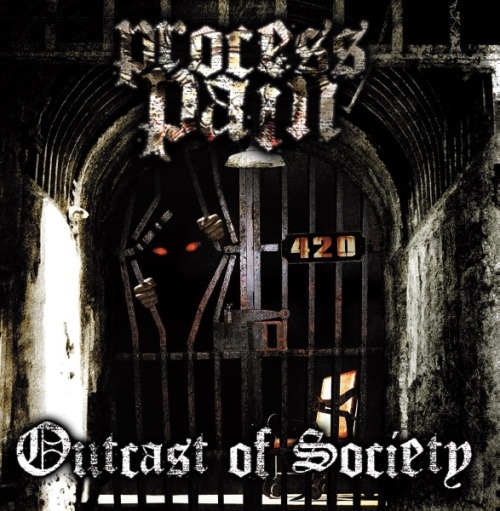 They’re now looking for a new label, while working on their third full-length record. Constantine will also be a part of a documentary series by the Finnish broadcasting company YLE. The series will be aired sometime next fall and it follows the bands doings along with the final year of the late record company and its affairs.